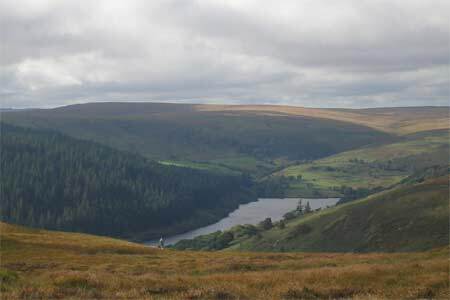 ﻿ Close to the Mid Wales Bunkhouse, Tipi and Camping, Rhayader and the Elan Valley. The perfect base for exploring Rhayader and the Elanith. Rhayader, the Elan Valley and Elanith. 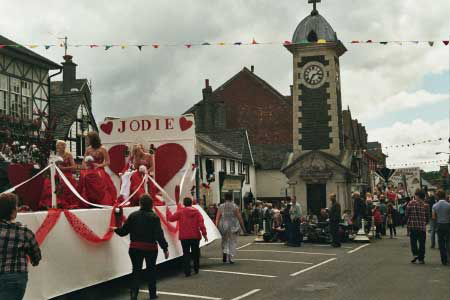 Rhayader is just 5 miles away and is a small market town with a full range of traditional shops, cafes and leisure centre. It is also the gateway to the spectacular Elan Valley with its huge reservoirs built by the Victorians to supply Birmingham with water. There is an excellent visitor centre, with the whole area opening out onto the high moorland of the Elanith and the Cambrian mountain range, the backbone of Wales. From here you can cross this vast expanse either on foot, by mountain bike or on horse back. For the less adventurous there is a lovely cycle track alongside the reservoirs from where you can enjoy the stunning landscape, and those on foot can complete a circuit right the way around. If you prefer to take your car there is a stunning 11 mile drive all the way around, or alternatively you can take the mountain road to Cwmystwyth and eventually Aberystwyth, a superb day out. 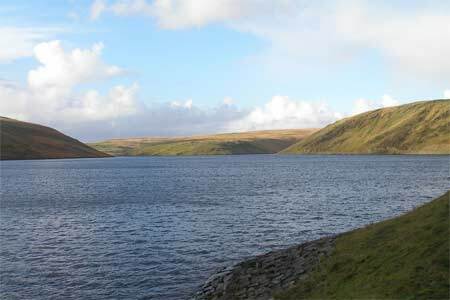 The wild and remote Claerwen reservoir, the last to be built was opened by Queen Elizabeth 2nd in one of her first official engagements in 1952.